“He’s extremely loving and brings so much more excitement to my life." 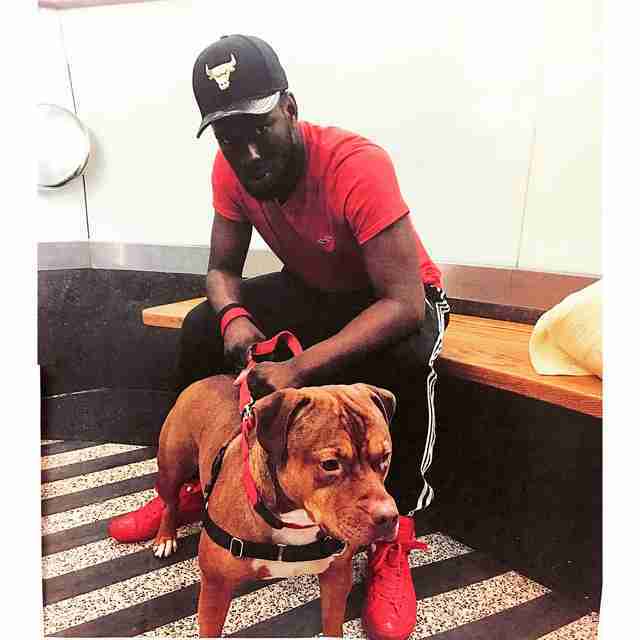 When Gemar Lezeau began his summer job at the ASPCA, he had no intention of adopting a dog. The 19-year-old was already juggling a full schedule as a student at St. Joseph’s College in Brooklyn, and adding one more responsibility seemed impossible. What Lezeau didn’t anticipate was that a misunderstood pit bull would completely change his mind before the summer was over. 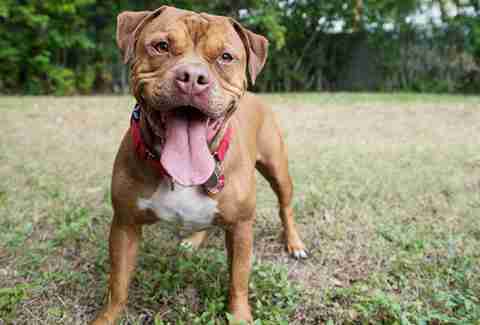 Juice was found tied to a pole on a construction site, shivering and alone on Christmas Eve. 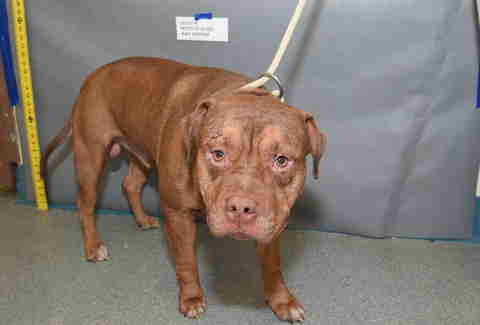 When the NYPD delivered the pit bull to the ASPCA, he was in bad shape — underweight, covered in unidentified bite marks and suffering from a bad skin and ear infection. A month went by and Juice began to heal, but when the time came to move the muscular pit bull from the recovery center to the adoption center, things did not go smoothly. Juice’s backstory touched Lezeau, who hoped that after months stuck in a small kennel, Juice would find a home, and take his rightful place as a loving family pet. But as days turned to weeks, it was clear that potential adopters couldn’t see past the caution signs and anxious behavior. Not to mention the stigma that comes with belonging to a breed banned in several states in the U.S. and many territories in Canada. “I felt bad for him and hoped for the best for him, but [the best] seemed to have never come,” Lezeau said. A month after their first inside walk together, Lezeau decided to take Juice home. His work at the ASPCA, and spending day after day with Juice, had allowed him to see past all the preconceived notions to the sweet, special guy he really was. Now comfortably installed in Lezeau’s family home in Queens, New York, Juice has exceeded all expectations. The pit bull has blossomed into the devoted, smiley companion Lezeau always knew he could be. Saturday, October 28, is Pit Bull Awareness Day. Learn more about breed-specific legislation and how to fight it here.